The charming island of Evia is the second largest in all of Greece. 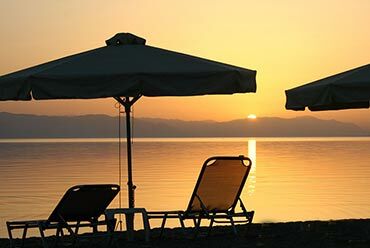 Situated opposite the east coast of mainland Greece, Evia is an island that is a delight to visit all year round. 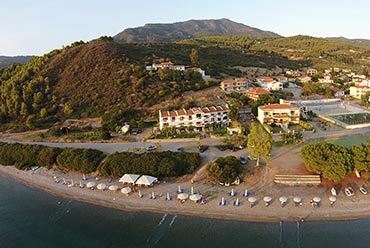 There are so many beautiful places and popular spots in Evia that visitors will be truly spoilt for choice. 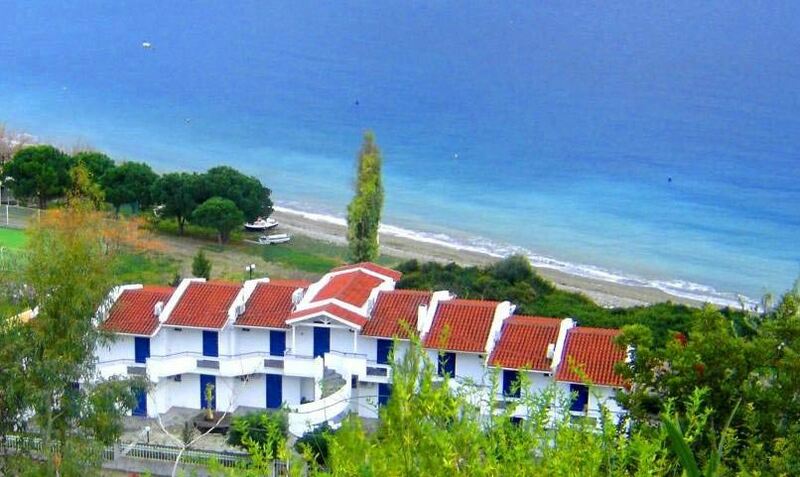 One such destination is that of Rovies, located in the northern region of Evia. 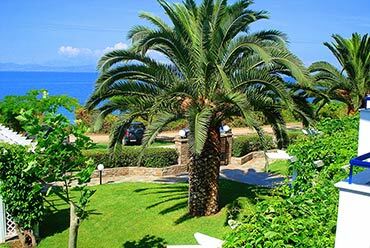 It is here in Rovies that you will find the "Agnadi Hotel" from where we welcome you to Evia, and are proud to be able to offer you a wonderful selection of accommodation and rooms for your stay here. 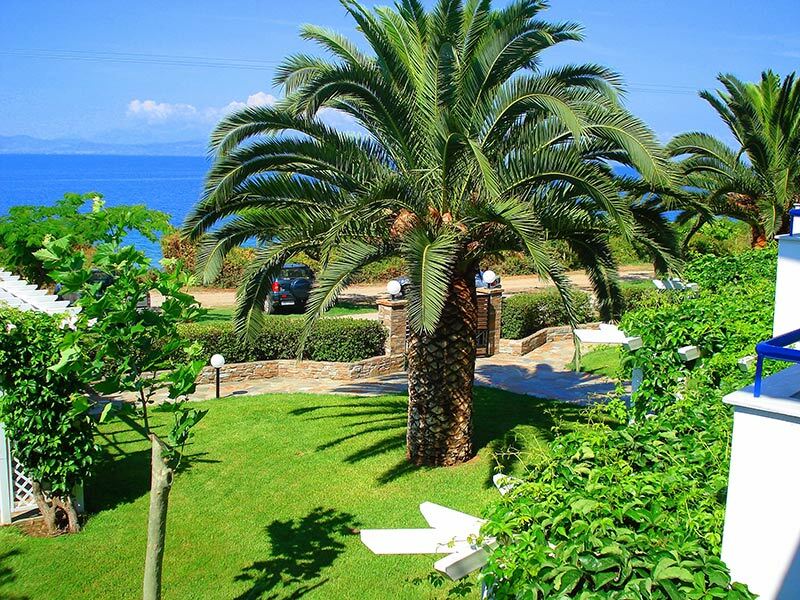 View Our Gallery Surrounded by our beautiful garden, the hotel offers comfortable and quality accommodation in a very tranquil and quiet part of Rovies, with easy access to both the sea, and to neighbouring regions. 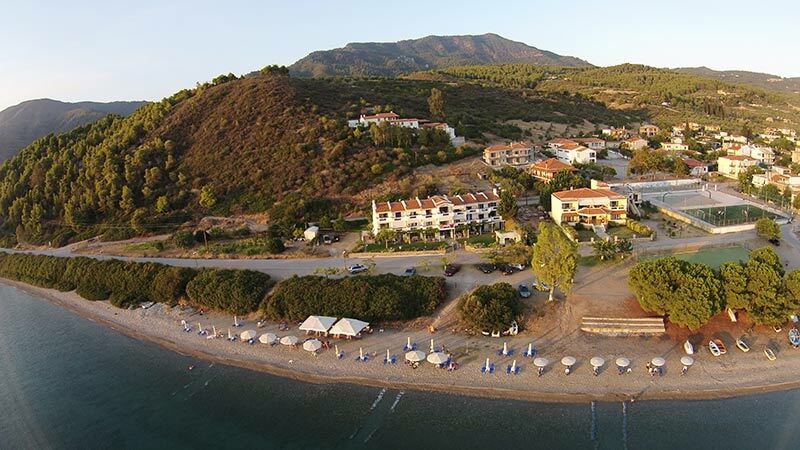 Evia is an island for all seasons, where colours and landscapes constantly change throughout the year. 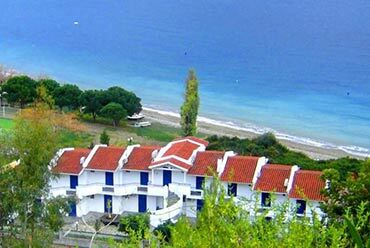 The "Agnadi Hotel" operates all year round, so whenever you are planning to travel to the island of Evia, you can be confident that we will be here, waiting to offer you our deepest and most sincere hospitality. If you would like further information regarding our hotel and facilities, please feel free to contact us. We will be more than happy to help with any questions you may have. At our hotel you will find a range of services to make your stay with us one of great comfort and enjoyment. The Hotel Agnadi has specially designed sitting area, decorated with excellent taste providing a very relaxing and beautiful atmosphere. Here you can relax from the day’s activities and have a nice drink or coffee. During the cold winter days, the big fire place creates a warm and cosy ambiance, while during the summer with the sea so close and the colorful and vibrant garden, you enjoy your stay with the sun and the refreshing sea breeze. 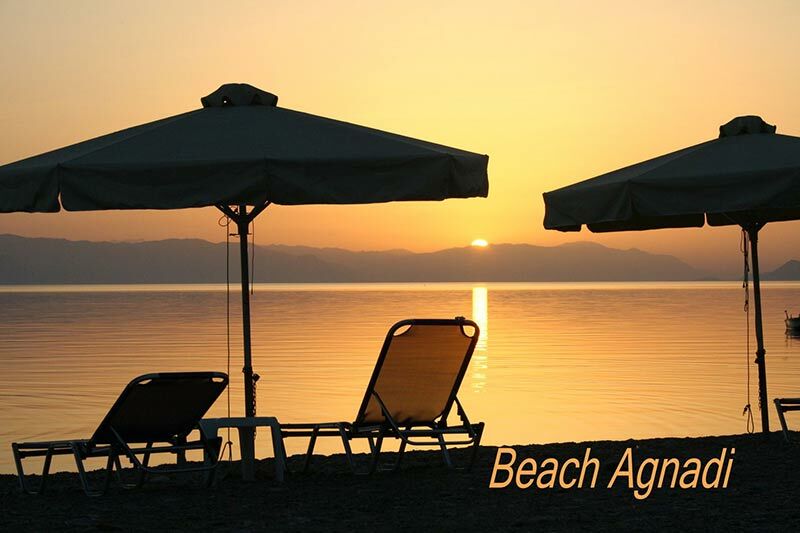 The Agnadi Hotel offers guests the use of free umbrellas and sunbeds at the beach in front of our hotel. There are three different routes to get Rovies . The first is from Halkida, where you will follow the road northwards towards Aidipsos. The second route is to follow the Athens - Lamia national road, and take a ferry boat at Arkitsa, which will take you across to the port of Aidipsos. From here, you will head south towards Rovies.